By the time Bechtel’s Alba Potline 6 Aluminum project in Bahrain reaches peak construction in mid-2018, there could be more than 10,000 skilled craft workers on site. Like most construction projects in the Middle East, Alba will rely to a large extent on the commitment and dedication of expatriate workers, from India, Bangladesh, Nepal, Pakistan, the Philippines, and other countries. Recent (2017) Bahraini Ministry of Labour and Social Development data shows that of the entire current workforce in Bahrain 80% are expatriate and 20% are Bahraini nationals. With so many workers hired from many nations, through many channels, there is the constant challenge of ensuring Alba Potline 6 Contractors and their expatriate workforce are aware of, and remain compliant with, the national and international environmental and social requirements the project must adhere to. To that end, Oldmeadow says, the Alba Potline 6 Project Team has worked closely with the Migrant Workers Protection Society (MWPS) to better identify means to ensure workers rights, as recognized both by the Bahraini Government and the World Bank, are understood and met. MWPS is a legally registered society through Bahrain’s Ministry of Labour and Social Development and the only non-profit NGO solely focused on the needs of expatriate workers in the region. These objectives align with Bechtel’s core values and the guidelines set out in the U.N.’s Sustainable Development Goals, to which the company subscribes. Oldmeadow says “Working with this NGO helps Bechtel get first-hand information on real world issues facing expatriate workers in Bahrain, and equally helps the MWPS better understand the practical ways Bechtel manages worker welfare in a construction setting”. “By raising awareness of sustainable development on the Alba Potline 6 Project, we are helping improve the understanding of the importance of sustainability as a viable component of business. We hope this will strengthen customers’ and stakeholders’ appreciation for how to weave sustainable development into any of their future projects, in particular those which will depend on international funding,” he adds. “Local philanthropy also forms a part of the projects sustainable development program”, Oldmeadow says. Working with the Alba Potline 6 NextGen Chapter, the project team has embraced a number of stewardship opportunities. Among the team’s philanthropic efforts to date is one that helped provide air conditioning for a women’s shelter run by the MWPS. With summertime temperatures and humidity levels exceeding 113 degrees Fahrenheit (45 degrees Celsius) and 85%, respectively, access to air conditioned environments is a necessity for all in the Middle East! “By living Bechtel’s Vision, Values and Covenants we believe we can shift attitudes about what sustainable development is and how it can meaningfully contribute to people’s wellbeing in the Kingdom,” Oldmeadow adds. 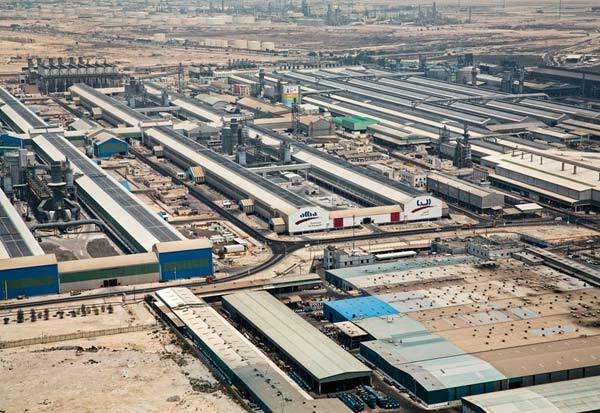 The massive Aluminium Bahrain smelter has already been expanded five times since the startup of the first potline in 1971. When the new, sixth potline is completed in 2019, it will make Alba the world’s largest single-site aluminum production facility, with an annual production of 1.5 million metric tons per year. Bechtel is providing EPCM services to Alba, which is majority-owned by the government of Bahrain, an Arabian Gulf island nation with a rich history and a well-established reputation for trade. The company also built Alba’s Potline 4 and Potline 5, completed in 1994 and 2005, respectively.